Abstract: We're enabling SNMP community strings (SNMP's concept of a password) on a Cisco router named 'C2600' running Cisco's IOS (Internetwork Operating System). The router has never previously been configured for SNMP. WARNING: SNMP in IOS versions 11.x-12.0 had a security vulnerability. More here. Notes: IOS is also used in other Cisco managed network equipment and the generic term 'device' will be used onward in reference to the router. Full IOS commands are used but many can be shortened: 'configure terminal' to 'conf term'; 'show' to 'sh'. Pressing *Tab* autocompletes a command if the letter combination is unique. Entering 're' *Tab* will fail as it could be for 'reload', 'rename','restart', or 'resume'. Entering 'ren' *Tab* will complete to 'rename'. If you forget a command, the '?' *Enter* will display most of the commands. Enable mode is used to view a device's settings. If SNMP is mentioned it was previously configured. Configure allows you to change the device's settings. 'RO' stands for 'Read-Only' meaning that someone who knows the device's public string can view the device's SNMP settings. A relatively harmless ability. RW stands for Read-Write meaning that someone who knows the private string can change the device's settings. Someone with this knowledge can ruin your plans for the day, especially if the device is thousands of miles away. 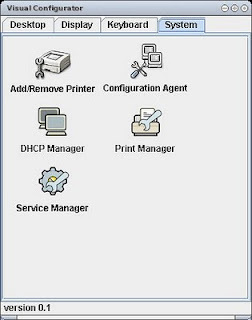 An instance: here's instructions for "How To Copy Configurations To and From Cisco Devices Using SNMP"
Replace 'public-string' and 'private-string' with appropriate substitutions. The common default strings are 'public' & 'private'. These strings are not recommended for securing the device. Exits configure mode back to enable mode. A few lines about SNMP should appear. This writes the new settings to memory. If you skip this step, you'll need to start over. Empty stats about usage will display if SNMP is correctly configured. 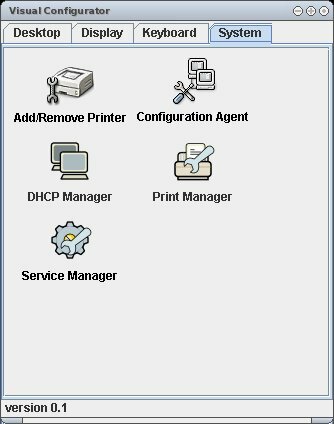 A simple way to administer multiple VNC sessions under Solaris. 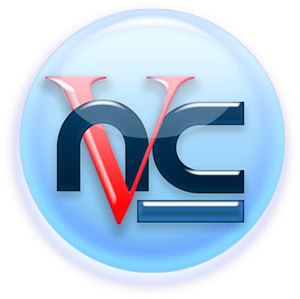 Get your "vncadm" script here! Solaris has long been shipped with a wide variety of email capabilities, while other commercial operating system require businesses to purchase email. EMail capabilities vary from sendmail to move mail between servers, to various commands to retrieve mail on a command line (i.e. mail, mailx, etc. 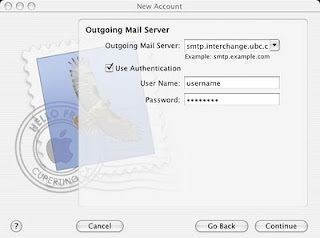 ), to Post Office Protocol (POP) or Internet Mail Access Protocol (IMAP) to retrieve mail from a desktop based email client. The IMAP protocol offers some of the most robust options. The IMAP protocol is normally shipped on a Companion CD with Solaris. The Companion CD from Solaris 10 includes a SVR4 package of the IMAP protocol. An old version of a Companion CD IMAP version, which was loaded on a server, is below. The binary can be easily found using the find command. If there is no service loaded, then imapd service will need to be configured. One of the easiest ways to configure a Solaris 10 Service, if you are used to using the old "/etc/inetd.conf" configuration methodology, is to use "inetconv" utility. 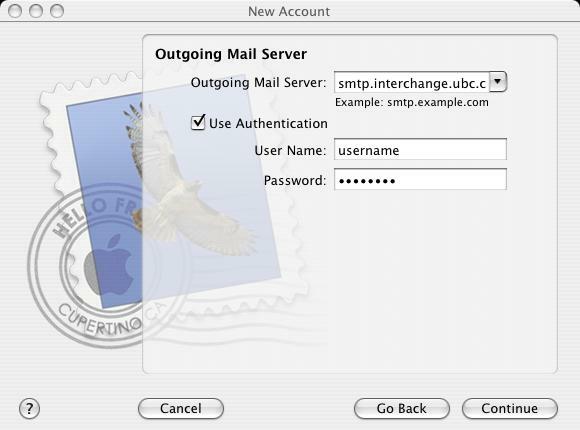 Add the "imapd" entry to "inetd.conf", validate it, and perform the conversion. After the import of the service, you can check to see it running. Go and configure your Mozilla integrated web & messaging browser (now called SeaMonkey) or modern Thunderbird client! I was doing some reading on Calendars from an "imap" software package (SFWimap) with source code originating from http://www.Washington.EDU/imap and on an older Solaris 10 machine in this location (/opt/sfw/doc/imap/calendar.txt) . I found it so interesting that I decided to copy-paste it! future, such as the harvest or the release of a new version of Pine. upon the seasons or the lunar cycle. Augustus could each have long months named after them. part of his reform, as we shall see. Julian calendar. The next day was Friday, with the date of October 15.
one that we now use today. calendar in 1918. Turkey didn't adopt it until 1927.
such as the year of a ruler's reign. subsequently followed in the Gregorian calendar. calendar millenium, note that year 1 is too late by at least 4 years. when Mohammed fled from Mecca to Medina. 90th year of the Republic (Taiwan), and Juche 89 (North Korea). being one day behind every 3,333 1/3 years. remains unchanged for the next 2000 years. tear into c-client's code to fix the Y20K bug. 900 must result in value of 200 or 600 to be considered a leap year. 3100 are leap years, but will disagree again in 3200 and 3300. The Orthodox calendar represents a year of 365.24222222... days. Y45K bug will be fixed. day of reckoning for the Gregorian and Orthodox calendars sooner. adjustments will be necessary at that time.
. Sunday        Latin "dies solis" => "Sun's day"
. Monday        Latin "dies lunae" => "Moon's day"
. Tuesday       Germanic "Tiw's day" => "Mars' day"
. Wednesday     Germanic "Woden's day" => "Mercury's day"
. Thursday      Germanic "Thor's day" => "Jupiter's day"
. Friday        Germanic "Frigg's day" => "Venus' day"
. Saturday      Latin "dies Saturni" => "Saturn's day"
. June          Latin "juvenis" => "youth"
. September     Latin "septem" => "seven"
. October       Latin "octo" => "eight"
. November      Latin "novem" => "nine"
. December      Latin "decem" => "ten"
is an artifact of the time when the new year started in March. number of days in a month. You don't need it. Your Sun V100 OpenBootProm Can't Find A New CD/DVD-ROM Drive? The default settings for your terminal application are: 9600, 1 stop bit, no parity. To access the console from a Solaris platform, you can use tip. Allow OpenFirmware to figure out where your cdrom is. The following example demonstrates that the cdrom/dvd appeared on Device 2 from the probe-ide command. Abstract: Someone forgot the admin passwords to a Cisco 1600-series router and you have physical access to the router. You'll need to know the break key sequence for your terminal program, fortunately Cisco has provided a handy list: Standard Break Key Sequence Combinations. 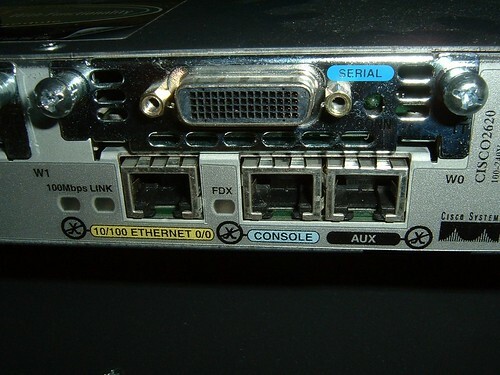 Connect your computer to the router's console port, ensure your terminal software is functioning and configured properly (baud: 9600, data: 8, parity: none, stop: 1, flow control: none, com ports will vary), and start or hard cycle the Cisco's power. Enter the break key sequence within 60 seconds. The new packaging routines for OpenSolaris omit the use of pre and post installation routines common to SVR4 packaging, for the purpose of simplification. The new SMF (Service Management Facility) can be leveraged to provide these capabilities. The creation of a regular repetitive operation such as ZFS Scrub can be packaged and run via SMF. This can be wrapped in an OpenSolaris feature called "Visual Panels" to provide a GUI. When Solaris had been merged with SVR4, the SVR4 Package standard was implemented for software installation and FMLI (Form and Menu Language Interpreter) would handle textual based GUI's. Some SVR4 variants released XFMLI, in order to wrap "fmli" into a standard X Windows GUI. With the creation of OpenSolaris, the iPkg was created through the inclusion of a Debian Linux developer. With the release of Solaris 10, SMF, a new mechanism to manage hierarhal service under Solaris was created, to merge both start/stop scripts as well as inetd servies. Shortly after Solaris 10's release, ZFS was released, in order to provide for enhanced file system management. OpenSolaris added "Visual Panels", to help provide a facility to replace "fmli". The ZFS system performs error detection and correction through the use or CRC and parity, depending on the level of redundancy the user requires (and selects.) The "zpool" command handles most of the bottom-end functionality. The occasional "scrub" should be performed on-line via "zpool scrub" command, to ensure the integrity of on-line data, forcing the ZFS system to check all of the CRC's, and apply available parity information against silent data corruption. The availability of scrub information can be acquired via the "zpool status" command, but it was not persistent across reboots. To simulate this bug without a reboot, the "zpool export" and "zpool import" commands can be used, after which time any scrub information would disappear. Constantin Gonzalez implemented CR6878281 to make this information persistent. A work-around needed to be created in order to make available information persistent. ZFS has the ability to retain user defined properties at the file system level, but not at the zpool level. A user-defined property to hold the last scrub date at the upper most file system level can be implemented as a work-around for the work-around to provide a persistent location for the zpool last scrub data element. The "zfs" command handles many of the higher-layer features. In order to set the property, the "zfs set =" can be used. To find the formerly set property, the "zfs get " can be used. To delete the property, the "zfs inherit " can be used, which forces Solaris to delete and not create a new property, since the parent zpool does not have that property in existence! The Service Management Facility can be used to start, stop, and monitor various infrastructures within the operating system. The "svcs" command will show the active services with their states while the "svcadm" command will allow for the adjusting of those states. Start, stopping, and restarting of services can be done with "svcadm start ", "svcadm stop ", and "svcadm restart ". A modern Java based system, "Visual Panels" ascribes to a client-server model, where any platform can run the GUI. (Ben Rockwood at cuddletech.com has a short introduction to it.) The Panels talk to "Management Beans" located in a "JMX Management Agent", which do all the heavy lifting. There already exists an "SMF Bean" which can do the "SMF" configuration changes for custom panels. The "NetBeans" development platform allows for wiring. Consantin Gonzalez produced a video series to describe how this can all be tied together in OpenSolaris. This is a great model for developers to use in order to migrate their system to modern Solaris infrastructures. Constantin has moved his main blogging to a new location. Some of the ZFS Scrub concepts were based upon Tim Fosters (new location) Auto-Snapshot work. The router's serial ports will not be used for this network and both must be turned off. On the prompts, notice that (config) is general configuration mode and (config-if) indicates that a particular 'interface' (serial, ethernet, etc. port) has been selected. At this point the configuration information is printed to the screen. Check to ensure the data is properly entered. We'll start with securing the console (initial screen). Viewing the system configuration at this point reveals the passwords in plain text. To ensure no one accidentally views sensitive info, it must be encrypted. Telnet into the router to ensure your password works. All changes have been tested. Close the terminal window so that someone can't scroll up and collect password data that was previously displayed. Transmission Control Protocol / Internet Protocol (TCP/IP) has been embedded into most UNIX platforms since the beginning days of the Internet. With the enhancement of TCP/IP protocols over the decades, configuration & debugging has become increasingly more sophisticated. In the process of converting to a 100% open source system, Solaris 10 has acquired newer tools to work through issues. Issues with debugging connectivity of a device or a service includes various steps. Validate traffic is passing without errors or collisions on the interface. Check to see what kind of name resolution is used on devices and services. When dns is being used, ensure the name services are running correctly. www.oracle.com canonical name = www.oracle.com.edgesuite.net. www.oracle.com.edgesuite.net canonical name = a398.g.akamai.net. Check inet services which are not disabled. Check global properties for all inet services. List inet properties for any service which is suspect of not running correctly. For setting up and maintaining basic Network Management infrastructure under Solaris, these basic commands will take someone a long way. 3Com has been in the network business for decades while HP (and the many acquired companies under it's umbrella) has been in the computing business for decades. Huawei, a Chinese manufacturer, had invested in 3Com and regulators recently shot down an attempt to gain a more significant portion. 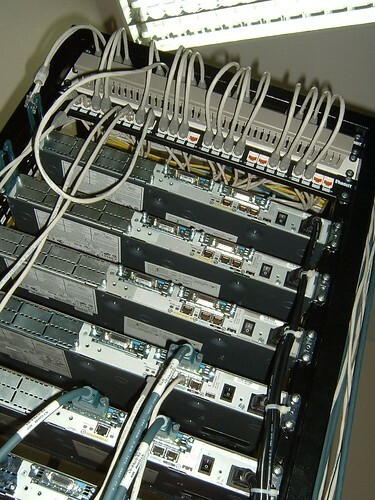 Not long after, HP had purchased 3Com, with promising results from regulators. The Register wrote a summary of the recent moves by HP. HP has announced a new HP Networking brand, under it which it will offer an edge-to-core set of sub-brands: the A Series; E Series; V Series; and S Series products. The ProCurve and 3Com brands will go away. Donatelli said the A Series is for large enterprises, the E series for mid-sized customers, and the V series for small and medium enterprises. 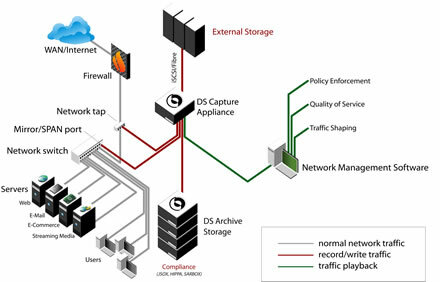 The S Series is for customers with network security needs, and the TippingPoint intrusion-prevention products will be featured there. For those of you who have been unfortunate enough to have to deal with Huawei, 3Com, and H3C devices, you will remember that the comman line interfaces are close enough to be helpful but different enough to cause nasty automation problems. Some devices can have page size adjusted when displaying infomation, some have the option to shut off paging, some devices can not even shut off the pager - making it very difficult to script multiple device automations. Sometimes, sleeps need to be placed in the scripts, to make sure device automations actually work! Plan on a nightmare of new issues related to automations on these devices, as updates are released. Some hope HP will fix some of the old issues on old hardware, but other do not hold out much hope, considering fixing old software would not drive new hardware sales. Solaris 10 has included a new feature referred to as the Data Link Admin tool. This tool provides a simple way to configure and check the status of the layer 2 ethernet interfaces. Some of the information commonly used in dladm under Solaris 10 can be derived in Solaris 9. The Data Link Administration tool under Solaris 10 has some very nice features, including quickly seeing the interface name, speed, and duplex. A simple nawk script can be used on a Solaris 9 platform, to perform similar output. Flash acceleration has been out for a very short period of time. Sun, the technology leader in this market, invested heavily in this market, providing hardware which speeds their operating system and unoptimized applications. Parent company Oracle also released application specific enhancements to increase database performance. Sun had released a flash accelerator in September of 2009 surpassing 1 million IOPS with 1.6 million IOPS read and 1.2 million IOS write, as described by Oracle, BestPerf blogger, UNIXBot blogger, and StorageMojo blogger. The Register seemed thrilled to mention LSI surpassing 1 million IOPS 6 months later and forgot to mention Oracle/Sun, the market leader. The Register again mentioned NextIO, who surpassed Oracle/Sun's benchmark, by about 6%, using 25% more flash - becoming the new market leader. Can you guess which vendor was forgotten again, by The Register? The 1.7 million IOPS mark is a hair over 1.6 millions IOPS. It is really good to see the competition in the flash market - it helps everyone! All of those heavy performance management platform, which require substantial data stores with embedded databases, can receive substantial performance benefits without incurring higher licensing costs or additional professional services for migration, by plugging in a flash accelerator. Perhaps the writer at The Register will remember to include the market leader in the future, since Oracle/Sun is beating up on all the competition of the price/performance and performance metrics using their flash accelerator. 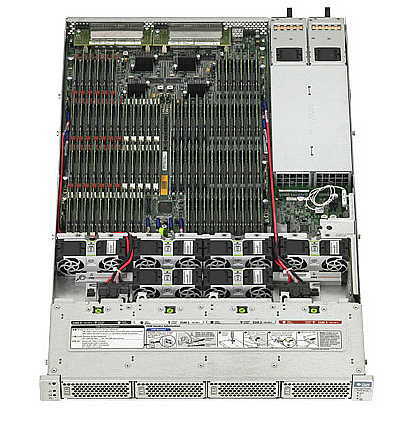 Sun had traditionally been a workstation company, who had moved to servers, and then migrated to thinner clients. Thin Clients have been based occasionally upgraded. Since the acquisition of Sun by Oracle, the latest thin client had been released. Several blogs (MapleDesk, ThinkThin) have talked about the new thin client. There is also a posting to the Oracle/Sun Web Site comparing the new thin client against the other clients. The front has audio input/output connectors, 2 USB jacks, while the rear panel has dual monitor support, 2 more USB jacks, Gigabit Etherrnet, and even a 9 pin serial port! You can see what the new Sun Ray 3 Plus Thin Client look like, when it is unboxed. What is extremely odd to me is the silence from the media. For example, The Register covers thin clients from vendors like Microsoft, but has been completely silent on the latest release. The dual-monitor 2560x1600 support is an excellent opportunity to display high resolutions maps and consoles to large monitors in a NOC. The 9 pin serial could provide a means to configure routers, switches, and other embedded systems from the thin client. Why would it need gigabit ethernet? Honestly, the thin client would never need that much throughput. It could reduce latency and make the GUI feel more snappy in an environment where there is tremendous pressure for performance. The SMARTS Card provides an extremely robust hard security mechanism so only NOC personnel can use the terminals while standard username/password combinations can still be used to access the applications. Hot-Desking remains a great feature - the removal of a card at a particular NOC station means the desktop can move from one location to another location without the time cost of restarting the applications. One might browse a short article, looking past the sarcasm and skepticism, looking for information. Oracle's man had slightly more luck highlighting what he called "one of the most significant changes" in up-coming MySQL 5.5, which is in beta. The InnoDB storage engine bought by Oracle in 2005 will become MySQL's default storage engine. Also, InnoDB will be included for free with MySQL Enterprise Edition, which is charged under a support contract. Oracle announced the release of MySQL Cluster 7.1 as finished product, with improved administration, Java, and OpenJPA connectors to clusters, sub-second fail over and self healing. Even though this was work begun under Sun Microsystems, which Oracle finally acquired in January, Screven said it proved Oracle's commitment to improve the database is happening now, "not some abstract point in the future". Performance Management with Network Management is increasing dependent upon databases to hold large quantities of data in mid to large deployments. Databases like Oracle are great options for internal facing deployments. External facing deployments require lower cost licensing options in order to be sufficiently competitive. This is where MySQL fits well. In December of 2009, it was reported that Red Hat Linux started the process of ceasing support for Intel Itanium processors. Now, it appears that Microsoft is starting it's process of discontinuing support for Intel Itanium. See former blog entry when Red Hat Linux discontinued their Itanium support. None. There were no serious Network Management products using Microsoft Windows on Itanium. There are really only HP operating systems left on this CPU platform, a single isolated software vendor on a single isolated chip supplier. Single vendor processors (IBM POWER and Intel Itanium) are somewhat more risky, when there is a gap in the development cycle due to human error. Specialized software vendors looking for longevity often look for multiple suppliers when producing a product, to ensure that a single vendor glitch does not damage their product marketing. Probably, the people who will be most affected by this move will be businesses who depended on Microsoft SQL Server on Itanium.